aArticles could be excluded for more than 1 reason; therefore, summed exclusions exceed total. COPD indicates chronic obstructive pulmonary disease. aStudy assessed 2 treatment vs control comparisons; see Table 1 for details. Size of data markers is proportional to the weight of the study in the analysis. CI indicates confidence interval; ICS, inhaled corticosteroid. Context Recent studies of inhaled corticosteroid (ICS) therapy for managing stable chronic obstructive pulmonary disease (COPD) have yielded conflicting results regarding survival and risk of adverse events. Objective To systematically review and quantitatively synthesize the effects of ICS therapy on mortality and adverse events in patients with stable COPD. Data Sources Search of MEDLINE, CENTRAL, EMBASE, CINAHL, Web of Science, and PsychInfo through February 9, 2008. Study Selection Eligible studies were double-blind, randomized controlled trials comparing ICS therapy for 6 or more months with nonsteroid inhaled therapy in patients with COPD. Data Extraction Two authors independently abstracted data including study characteristics, all-cause mortality, pneumonia, and bone fractures. The I2 statistic was used to assess heterogeneity. Study-level data were pooled using a random-effects model (when I2 ≥ 50%) or a fixed-effects model (when I2 < 50%). For the primary outcome of all-cause mortality at 1 year, our meta-analysis was powered to detect a 1.0% absolute difference in mortality, assuming a 2-sided α of .05 and power of 0.80. Results Eleven eligible randomized controlled trials (14 426 participants) were included. In trials with mortality data, no difference was observed in 1-year all-cause mortality (128 deaths among 4636 patients in the treatment group and 148 deaths among 4597 patients in the control group; relative risk [RR], 0.86; 95% confidence interval [CI], 0.68-1.09; P = .20; I2 = 0%). In the trials with data on pneumonia, ICS therapy was associated with a significantly higher incidence of pneumonia (777 cases among 5405 patients in the treatment group and 561 cases among 5371 patients in the control group; RR, 1.34; 95% CI, 1.03-1.75; P = .03; I2 = 72%). Subgroup analyses indicated an increased risk of pneumonia in the following subgroups: highest ICS dose (RR, 1.46; 95% CI, 1.10-1.92; P = .008; I2 = 78%), shorter duration of ICS use (RR, 2.12; 95% CI, 1.47-3.05; P < .001; I2 = 0%), lowest baseline forced expiratory volume in the first second of expiration (RR, 1.90; 95% CI, 1.26-2.85; P = .002; I2 = 0%), and combined ICS and bronchodilator therapy (RR, 1.57; 95% CI, 1.35-1.82; P < .001; I2 = 24%). Conclusions Among patients with COPD, ICS therapy does not affect 1-year all-cause mortality. ICS therapy is associated with a higher risk of pneumonia. Future studies should determine whether specific subsets of patients with COPD benefit from ICS therapy. Quiz Ref IDChronic obstructive pulmonary disease (COPD) is a smoking-related lung disease characterized by recurrent episodes of cough, sputum production, and breathlessness. The disease represents a substantial public health burden, affecting 10 million to 15 million persons in the United States.1 Currently, COPD is the fourth leading cause of death in the United States, accounting for 120 000 deaths annually,2,3 and it is expected to be the third leading cause of death by 2020.2 No pharmacotherapy and few interventions, other than smoking cessation and supplemental oxygen, have been shown to improve mortality in patients with COPD.4-6 Therefore, current medical interventions focus on reducing symptoms and complications associated with COPD.7,8 Elevated levels of systemic and pulmonary inflammation in patients with stable COPD have led to the development of inhaled corticosteroid (ICS) therapies for such patients.7,9 These therapies can be formulated as monotherapy or combination therapy (ie, an ICS combined with a long-acting β2-agonist [LABA]). Quiz Ref IDIn patients with COPD and a forced expiratory volume in the first second of expiration (FEV1) less than 50% predicted, several randomized controlled clinical trials have demonstrated that ICS therapy reduces the frequency of COPD exacerbation.10-16 Thus, current US and international guidelines recommend ICS therapy in addition to bronchodilators for patients with symptomatic COPD, FEV1 less than 50% predicted, and repeated exacerbations.17,18 However, only 1 randomized clinical trial has demonstrated improved survival with combination therapy (ICS/LABA) as compared with long-acting anticholinergic therapy.15 Additionally, ICS therapy has been associated with increased risk of pneumonia in several recent large randomized clinical trials.12,13,15 Observational studies demonstrate an increased risk of osteopenia and fractures associated with long-term ICS use, particularly at high doses.19,20 Prior meta-analyses have yielded conflicting results for the effect of ICS therapy on quality of life,21-23 and none have incorporated the recently completed large randomized trials reporting the subsequent risk of pneumonia. Given the high morbidity and mortality associated with pneumonia and fracture in patients with COPD, it is important to understand the association of ICS use with these adverse events. Additionally, the role of ICS therapy in patients with stable COPD is controversial.24,25 Therefore, the objective of this report is to determine the potential benefit and harms of adding ICS therapy to placebo or non-ICS inhaled therapy for stable COPD. We conducted a systematic review and meta-analysis of randomized controlled trials to determine associations of ICS use of 6 or more months' duration with all-cause mortality and risks of fracture and pneumonia in patients with stable COPD. We also assessed associations of ICS therapy with outcomes among patients with COPD according to the following specific characteristics: high vs low ICS dose, shorter vs longer duration of ICS therapy, severity of COPD, and ICS monotherapy vs combined ICS and bronchodilator therapy. We searched MEDLINE, CENTRAL, EMBASE, CINAHL, Web of Science, and PsychInfo (to February 9, 2008) to identify potentially relevant articles. Our search included combined Medical Subject Headings and keywords for adults with COPD (study population); use of an ICS (study intervention); and randomized clinical trials (study design). The search strategy used standard filters to identify randomized clinical trials. There were no language restrictions. We reviewed the bibliographies of all selected articles and relevant review articles to identify additional studies. The primary outcome of this meta-analysis was all-cause mortality 1 year after initiation of ICS therapy. Secondary outcomes included pneumonia, fractures, and mortality at 6-month, 2-year, and 3-year follow-up. Definitions of adverse events (pneumonia, fracture) used in included studies were heterogeneous and sometimes absent. However, studies reporting pneumonia and fracture outcomes without explicit criteria for these events were included in the analysis. We report dichotomous outcomes as relative risks (RRs) and their respective 95% confidence intervals (CIs). The I2 statistic was calculated to determine the proportion of between-study variation due to heterogeneity, with suggested thresholds for low (25%-49%), moderate (50%-74%), and high (≥75%) values.32 Study-level data were pooled using a random-effects model. In analyses in which heterogeneity was low (I2 < 50%), a fixed-effects model was used. Studies with multiple therapeutic groups were analyzed as separate 2-group trials in each comparison, using the non-ICS comparator (LABA) or placebo therapy for comparison. For example, in a study including 4 treatment assignments (placebo, ICS, LABA, ICS/LABA), ICS was compared with placebo and ICS/LABA was compared with LABA. Publication bias was assessed using funnel plots and the Begg statistical test.33 All statistical analyses were performed using Stata version 10.0 (StataCorp, College Station, Texas). We defined several a priori subgroups to explore observed heterogeneity, including dose and duration of ICS therapy, baseline COPD severity (defined using FEV1), and use of monotherapy vs combination therapy. The electronic database searches identified 3153 citations. After evaluating these citations, review articles, and the bibliographies of included studies, we included 11 randomized controlled trials10-16,34-37 (Figure 1). The Cohen κ statistic for agreement on study inclusion was 0.92. Characteristics of included trials are summarized in Table 1. A total of 14 426 participants (mean, 1312; range, 290-6112) with COPD were included in these studies. Although all studies were published in English, they represent an international experience, having been conducted in more than 40 countries. Ten studies were multicenter trials. In general, methodological quality of included studies was good. All included studies had a Jadad score of 3 or greater (Table 2). All studies had clearly defined eligibility criteria, therapies, and reasons for patient exclusion. Allocation sequence generation and concealment were adequately described in 7 studies.10-13,15,35,37 All studies demonstrated adequate description of assessor blinding and reported statistical methods including sample-size calculations. Nine studies reported intention-to-treat analysis.11-15,34-37 Follow-up rates for all studies exceeded 95%. Discontinuation of assigned study medication was common (range, 25%-43%). Eight studies reported industry funding.10-12,14-16,36,37 All studies reported some involvement with industry sponsors (eg, supply of active drug and placebo, statistical analysis). Publication bias was assessed by inspection of funnel plots as well as analysis of the Begg statistic for each pooled analysis. There was no evidence of significant publication bias for the primary or secondary outcomes. Findings of our main analysis were robust to sensitivity analyses restricted to studies with explicit outcome blinding, no industry funding, assessment of bronchodilator reversibility, and secular trends (ie, publication after 2003). Thus, we present only the results of our main analysis. No study found a statistically significant 1-year mortality benefit from ICS use as compared with placebo. Three studies reported a significantly higher rate of pneumonia with ICS use,12,13,15 whereas no studies found a significantly increased risk of fractures. All-cause mortality at 1-year follow-up (Figure 2) was reported in 5 studies (9233 patients).11-14,35Quiz Ref IDThese studies included 128 deaths among 4636 individuals in the treatment group and 148 deaths among 4597 individuals in the control group. Inhaled corticosteroid therapy was not associated with a decreased risk of death at 1-year follow-up (RR, 0.86; 95% CI, 0.68-1.09; P = .20; I2 = 0%). Only 2 studies (6557 patients) reported all-cause mortality at 6-month follow-up, limiting pooled analysis.12,16 Neither study demonstrated a survival difference with ICS use. Similarly, only 2 studies (7435 patients) reported all-cause mortality at 2-year follow-up.12,15 Of these, only 1 study15 reported that ICS therapy was associated with a mortality benefit (RR, 0.56; 95% CI, 0.33-0.94). When combined, these 2 studies demonstrated no difference in 2-year all-cause mortality for ICS therapy vs no ICS therapy (RR, 0.90; 95% CI, 0.69-1.12; P = .45; I2 = 55%). Five studies reported all-cause mortality rates at 3-year follow-up (9537 patients). These studies reported 498 deaths among 4777 individuals in the treatment group and 506 deaths among 4760 individuals in the control group.10,12,34,36,37 There was no difference in all-cause mortality at 3-year follow-up for ICS therapy vs no ICS therapy (RR, 0.98; 95% CI, 0.87-1.10; P = .70; I2 = 0%). Seven studies (10 776 patients) reported pneumonia outcomes. These studies included 777 events among 5405 individuals in the treatment group and 561 events among 5371 individuals in the control group (Figure 2).10-13,15,35,37Quiz Ref IDPatients receiving ICS therapy had a higher incidence of pneumonia (RR, 1.34; 95% CI, 1.03-1.75; P = .03). There was a moderate degree of heterogeneity for this analysis (P < .001; I2 = 72%). The 3 individual studies that reported a significantly higher pneumonia incidence contributed 61.9% of the overall weight in the pooled analysis. Each of these studies was published after 2006. Three studies (8131 patients) reported fracture events. These studies included 195 events among 4073 individuals in the ICS treatment groups and 178 events among 4058 individuals in the control groups.10,12,36 There was no difference in the risk of fracture between ICS users vs nonusers (RR 1.09; 95% CI, 0.89-1.33; P = .40; I2 = 29%). Subgroup analyses were performed to investigate heterogeneity for associations of ICS use with our primary and secondary outcomes within strata of 4 different study characteristics (Table 3). These 4 subgroups were ICS dose (low dose [<800 μg] vs medium dose [800-1000 μg] vs high dose [>1000 μg], in beclomethasone equivalents), duration of ICS use (≤2 years vs >2 years), baseline severity of illness (FEV1 <40% predicted vs 40%-50% predicted vs >50% predicted), and ICS modality (monotherapy vs LABA-combination therapy). This systematic review and meta-analysis of 11 randomized controlled trials of ICS therapy of 6 or more months' duration in patients with stable COPD demonstrated several important results. First, ICS therapy was not associated with improved survival during follow-up periods ranging from 6 months to 3 years. Second, ICS therapy was associated with a 34% increased risk of pneumonia. Third, ICS therapy was not associated with increased fracture risk, although few studies reported this outcome. The lack of a survival benefit with ICS therapy reported here is consistent with the results of 2 previous meta-analyses.21,23 In contrast to the prior meta-analyses, the current analysis includes a recent randomized controlled trial that demonstrated a survival benefit with ICS therapy. Nonetheless, our analysis demonstrated no short- or long-term mortality benefit with ICS therapy. Furthermore, our analysis did not reveal a specific subgroup of patients with COPD for whom a survival benefit might exist. We demonstrated a significantly increased risk of pneumonia with ICS use. There has been increasing controversy in the literature regarding the association between ICS use and increased pneumonia risk.38-40 Establishing and quantifying this risk is essential, given the high morbidity and mortality associated with pneumonia in patients with COPD.41,42 Three recently published randomized trials demonstrated a potential association between ICS use and increased pneumonia incidence.12,13,15 These studies contributed the majority of the weight to the pooled estimate. Two of these trials had clearly defined, albeit different, definitions of pneumonia. The increased risk of pneumonia in recent clinical trials may reflect improved detection of pneumonia associated with ICS use. Explicit definitions for pneumonia and acute COPD exacerbations in future clinical trials may prevent misclassification bias that could alter true associations of ICS with COPD exacerbation rates and pneumonia. The mechanism of the association of ICS therapy with pneumonia remains unclear. One potential explanation is that ICS therapy may increase pneumonia risk in patients with COPD by increasing local airway immunosuppression.43 This could diminish the ability of the innate immune system to defend against primary bacterial infections or postviral superinfections. This hypothesis is supported by a recent multicenter trial that suggested that ICS use reduces lung-specific but not generalized biomarkers of systemic inflammation in patients with COPD.44 Consistent with this hypothesis, our results demonstrated that higher ICS doses are associated with increased pneumonia risk in a dose-dependent manner. Combined therapy with an ICS and a LABA may increase the distal ICS delivery to the alveolar bed when compared with monotherapy, which could further propagate the immunosuppressive effects of ICS.45,46 Supporting this, our subgroup analysis showed a higher risk of pneumonia with combination therapy. Interestingly, ICS exposure for 2 years or less was associated with a higher risk of pneumonia than was ICS exposure for longer than 2 years. The biological explanation for this observation remains unclear. While the conclusions drawn from subgroup analyses are limited and hypothesis-generating, they highlight the need for further exploration of the association between ICS therapy, pneumonia risk, and subsequent morbidity and mortality in patients with COPD. The association of ICS therapy with increased rates of pneumonia reported in our meta-analysis should be considered by clinicians and guideline developers when evaluating the role of ICS therapy in the management of stable COPD. This finding must be balanced with those of other reports describing beneficial effects of ICS therapy. Quiz Ref IDA recent meta-analysis of 13 139 patients with COPD demonstrated that ICS use of longer than 6 months' duration slowed the rate of decline in quality of life as measured by the St George's Respiratory Questionnaire, a 51-item questionnaire scored from 0-100, with higher scores indicating worse quality of life (weighted mean difference, −1.22 units/y; 95% CI, −1.83 to −0.60; 2507 participants).23 Although data were not sufficient for pooling, the authors also observed that symptom scores decreased with ICS use. While different quality-of-life measures were used in the 11 studies included in our meta-analysis, 8 reported a statistically significant improvement in St George's Respiratory Questionnaire scores. Thus, the increased pneumonia risk associated with ICS therapy should be carefully balanced with the known favorable effects of ICS use on quality of life. Our systematic review and meta-analysis has limitations. First, due to lack of mortality data from all 11 studies, our pooled results were likely underpowered to detect a significant difference in mortality. For example, for the primary outcome of all-cause mortality at 1 year, our meta-analysis was powered (assuming a 2-sided α of .05 and power of 0.80) to detect a 1.0% absolute difference in mortality (2.2% vs 3.2%) but not the 0.5% difference in mortality identified (2.7% vs 3.2%). Demonstrating statistical significance for the identified 0.5% difference between groups would require 44 190 patients. Second, most studies used different definitions for pneumonia. Pneumonia can have a high degree of clinical overlap with COPD exacerbations. 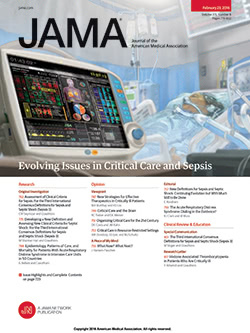 If a clinical outcome was misclassified as pneumonia rather than an exacerbation, one would observe an increased incidence of pneumonia with a decrease in acute exacerbations. Third, considerable heterogeneity existed in the type and dose of ICS used in studies of COPD. Given the different pharmacodynamics of these therapies, including drug metabolism and synergy with other inhaled therapies, pooling of different studies may attenuate the effect of a single agent. Fourth, considerable qualitative heterogeneity was present in the populations studied in these clinical trials. Different criteria for age, disease severity (ie, baseline FEV1), and smoking status may limit the generalizability of our findings to a particular population. We used the I2 statistic to quantify between-study heterogeneity created by these variations in study design and characteristics. The use of I2 has limitations, because this statistic assesses only 1 aspect of study variability and does not consider the clinical implications of the observed heterogeneity.32 Fifth, while the studies in our meta-analysis reported fracture risk, the total number of fracture events was low. Compared with randomized controlled trials, observational studies may be better suited to detect uncommon adverse events. This is highlighted by the report of a recent meta-analysis of case-control studies (43 783 cases and 259 936 controls) of ICS use that demonstrated an increased risk for nonvertebral fracture (RR, 1.12; 95% CI, 1.00-1.26).47 Sixth, our analysis did not incorporate data on quality of life and symptom changes associated with ICS therapy. Results of this meta-analysis raise important questions regarding ICS therapy in patients with stable COPD. First, given that ICS therapy decreases exacerbations and has a neutral effect on mortality, should physicians be concerned about increased pneumonia risk? While reduced exacerbation rates is an important goal in patients with COPD, ICS-associated pneumonias could diminish the quality of life of patients with COPD through recurrent hospitalizations and decline in lung function. Furthermore, an increase in pneumonia could potentially contribute to the mixed observations of prior meta-analyses on global quality-of-life outcomes. Clinicians should weigh the adverse events and associated benefits of ICS therapy when considering initiating this treatment. Recognizing the adverse events associated with ICS use is especially important, since clinicians may increase ICS therapy from moderate to high doses in patients who are not responding. Our data suggest that increasing to higher ICS doses may place patients at greater risk for pneumonia. While the results of our subgroup analysis suggest the existence of subpopulations of patients with COPD who might be at higher risk for pneumonia, our evidence is not conclusive and is only hypothesis-generating. Analysis of existing observational studies and future clinical trials may help physicians determine an optimal ICS dose that balances the potential risks and benefits of this therapy. Until studies can confirm an unequivocal benefit of ICS therapy in a group of patients with COPD, patients should receive the lowest effective ICS dose to minimize potential adverse effects. Our systematic review and meta-analysis shows that while ICS use in patients with stable COPD does not significantly affect mortality, there is a significantly increased incidence of pneumonia. This risk may be greatest in patients with the lowest baseline FEV1 and in those receiving the highest ICS dose, shortest duration of ICS therapy, and combination therapy. Further studies with rigorously defined pneumonia and exacerbation outcomes are warranted to better understand the potential harms associated with ICS use. Future studies are also needed to determine an optimal subgroup of patients with COPD that may benefit from ICS use. Finally, our study reinforces the importance for clinicians to weigh the potential risks and benefits of ICS therapy in patients with stable COPD. Corresponding Author: Eddy Fan, MD, Division of Pulmonary and Critical Care Medicine, Johns Hopkins Medical Institutions, 1830 E Monument St, 5th Floor, Baltimore, MD 21287 (eddy.fan@jhmi.edu). Author Contributions: Dr Drummond had full access to all of the data in the study and takes responsibility for the integrity of the data and the accuracy of the data analysis. Study concept and design: Drummond, Dasenbrook, Pitz, Murphy, Fan. Acquisition of data: Drummond, Dasenbrook, Pitz, Fan. Analysis and interpretation of data: Drummond, Dasenbrook, Pitz, Murphy, Fan. Drafting of the manuscript: Drummond, Dasenbrook, Pitz, Murphy, Fan. Critical revision of the manuscript for important intellectual content: Drummond, Dasenbrook, Pitz, Murphy, Fan. Statistical analysis: Drummond, Pitz, Murphy, Fan. Administrative, technical, or material support: Drummond, Dasenbrook, Murphy, Fan. Funding/Support: Dr Drummond is supported by an Institute for Clinical and Translational Research (K12) Mentored Career Development Award from the National Institutes of Health. Dr Dasenbrook is supported by the Cystic Fibrosis Foundation (Clinical Fellowship Research Award DASENB07A0). Dr Pitz is supported by the University of Manitoba (R. Samuel McLaughlin/Manitoba Medical Service Foundation Research and Education Fellowship Award in Medicine). Dr Murphy is supported by an institutional training grant from the National Institutes of Health (T32 HL007534-26). Dr Fan is supported by the Canadian Institutes of Health Research (Fellowship Award) and the Royal College of Physicians and Surgeons of Canada (Detweiler Traveling Fellowship). Role of the Sponsors: None of the funding organizations or sponsors had any role in the design and conduct of the study; the collection, management, analysis, or interpretation of the data; or the preparation, review, or approval of the manuscript. Additional Contributions: We thank the following for their review of early drafts of the manuscript: Robert A. Wise, MD, Division of Pulmonary and Critical Care Medicine; Stephen D. Sisson, MD, and Christine Soong, MD, Division of General Internal Medicine; and Steven N. Goodman, MD, PhD, Department of Biostatistics, all at the Johns Hopkins University, Baltimore, Maryland; and Allan S. Detsky, MD, PhD, Department of Medicine, University of Toronto, Toronto, Ontario, Canada. None of these individuals received compensation for their review of the manuscript.